Between the snow, the rain, and the droughts I never know when and what to plant in Nebraska. I mean seriously, I tanned in my lawn the same week my school canceled for snow. How the heck am I supposed to start a garden when Mother Nature seems so vehemently against it? I have found a way. 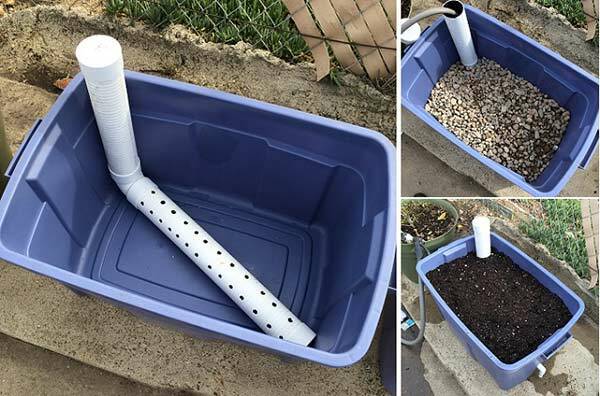 So, for those of you who can’t trust your local meteorologist, (and really who can) or those of you like myself, who are renting and thus not allowed to tear up your landlord’s lawn, I present to you the pest-resistant, water-efficient wicking garden beds. The theory behind wicking garden beds is quite ingenious. You’re essentially gardening from the bottom up; the same way you build a structure and cook your meals. In your typical garden, water is wasted as only a fraction of that precious H2O actually reaches the roots. So, not only are you wasting your time, you’re wasting your water. And as we’ve all learned, nothing in this world is free. You’ll be paying for that wasted water at the end of the month whether your garden blooms or not. I hate wasting time, the only thing I hate more is wasting money. So if I can ensure a successful harvest of veggies, (tomatoes are my favorite) while saving up to 50% more water I’m darn sure going to do it.